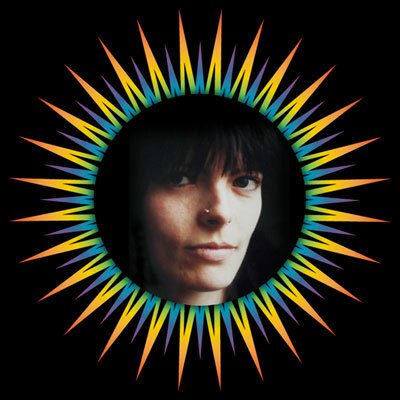 Uk (England): 1st February – In Memory of Jill Phipps (15 January 1964 — 1 February 1995) – Warrior of the Rainbow. See Jill’s film (4 Parts) – Note that this film is now several years old, and many issues have changed; some for the better, some are still as they were and some, well, have possibly declined even more ! Jill Phipps (15 January 1964 — 1 February 1995) was a British animal rights activist who was crushed to death in Baginton, Warwickshire, England by a lorry transporting live veal calves heading for continental Europe via Coventry Airport. 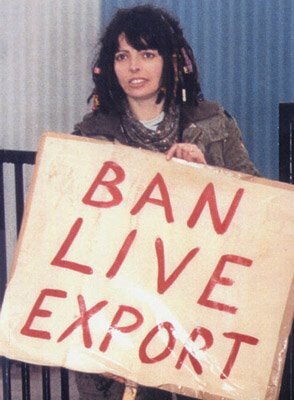 On 1 February 1995, Phipps was one of 35 protesters at Coventry Airport in Baginton, protesting at the export of live calves to Amsterdam for distribution across Europe. Ten protesters broke through police lines and were trying to bring the lorry to a halt by sitting in the road or chaining themselves to it when Phipps was crushed beneath the lorry’s wheels; her fatal injuries included a broken spine. Phipps’ death received a large amount of publicity, being brought up at Prime Minister’s question time in the House of Commons. 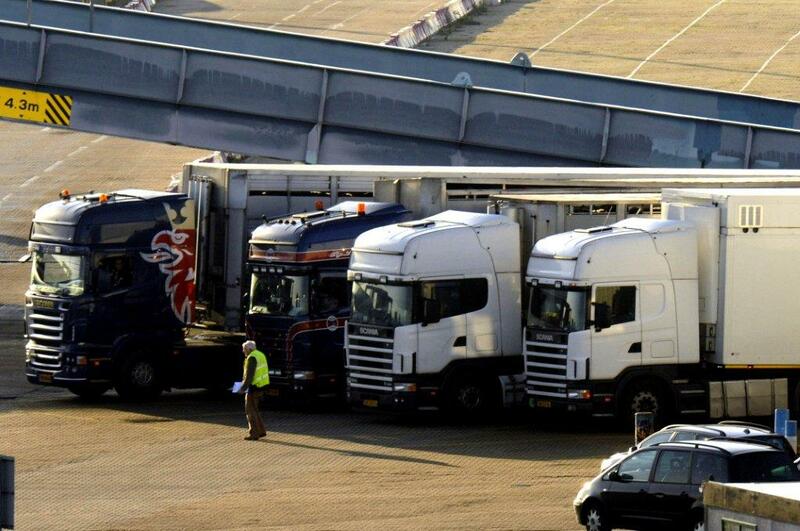 The Crown Prosecution Service decided there was not enough evidence to bring any charges against the driver. 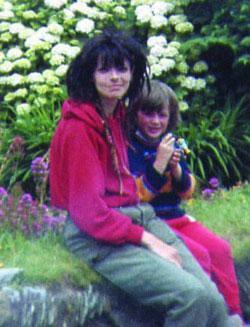 Phipps’ family blamed the police for her death, because the police appeared determined to keep the convoy of lorries moving despite the protest. The inquest heard that the driver may have been distracted by a protester running into the road ahead of him, who was being removed by a policeman. The policeman in charge of the protest speculated that Phipps had chosen “deliberately [to] fall” under the wheels of the truck, but Phipps’ father insisted that she did not want to die as she had a young son to live for. Veal calf exports from Coventry Airport ended months later, when the aviation firm belonging to the pilot responsible for the veal flights, Christopher Barrett-Jolly, went bankrupt following accusations of running guns from Slovakia to Sudan in breach of EU rules. In 2006 he was charged with smuggling 271 kg of cocaine from Jamaica into Southend airport. 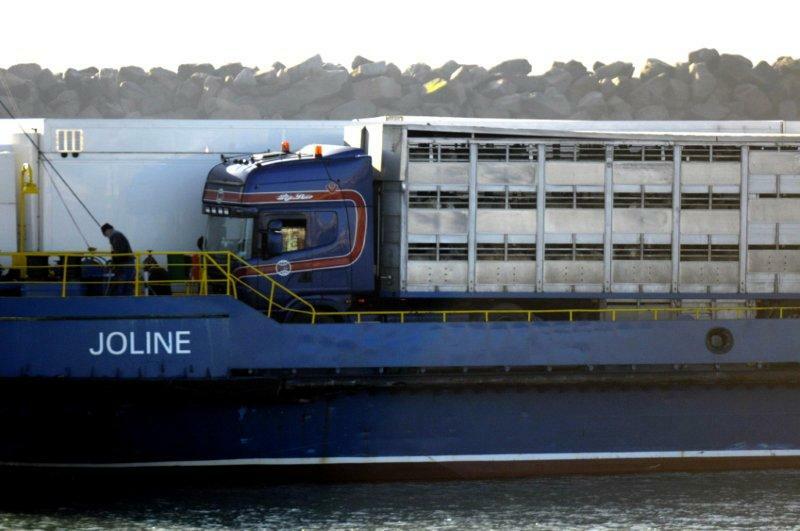 The continuing level of protest was such that several local councils and a harbour board banned live exports from their localities. All live exports of calves later stopped due to fears of BSE infection. 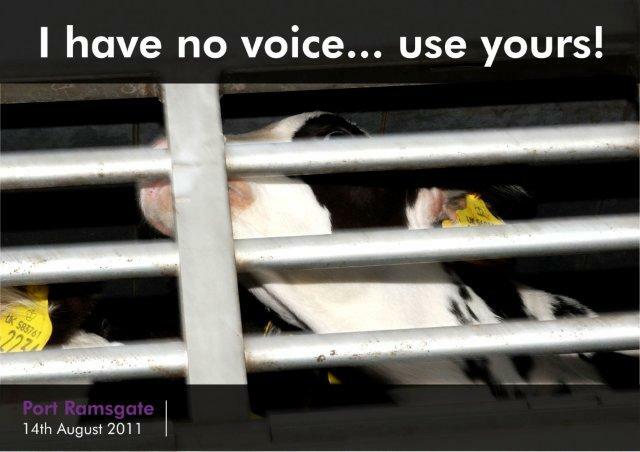 In 2006 this ban was lifted, but Coventry Airport pledged that it would refuse requests to fly veal calves. 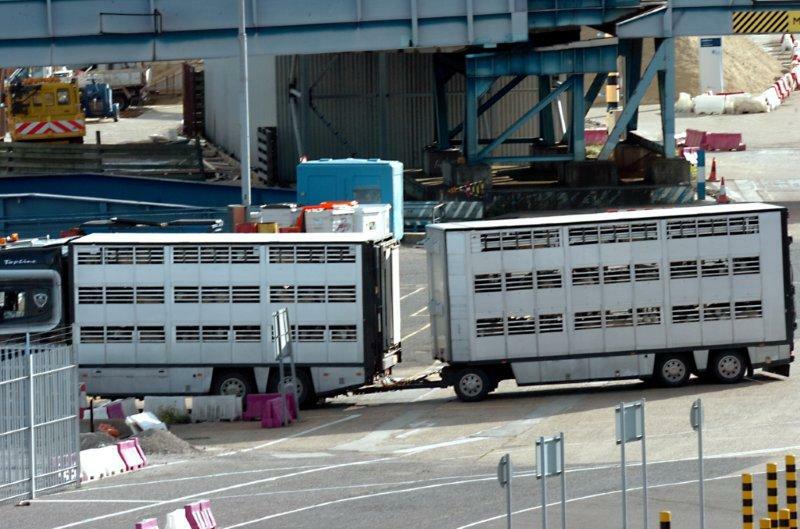 The fight to stop Uk live animal exports continues to this very day – please visit Kent Action Against Live Exports (KAALE) at http://www.kaale.org.uk/ to see events which are happening at the only port in the Uk which is now exporting live animals – Ramsgate, Kent, England. Memorial for Jill, Ramsgate, Kent, England – Saturday 4th February 2012. 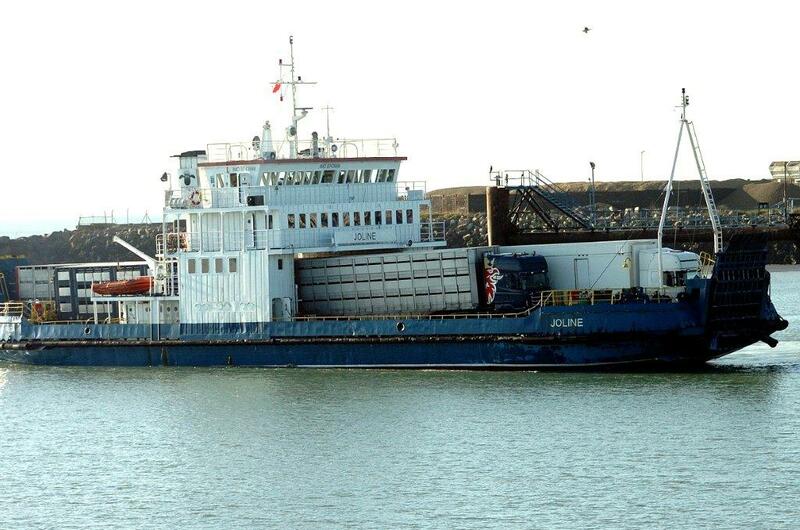 Includes walk to and protest at port, memories of Jill from friends, wreath laying etc. Family event; all welcome. Meet at HSBC Bank opposite Nero Cafe in Ramsgate High Street at 11 am. 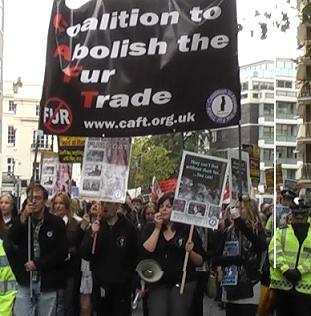 England (Uk): PROTESTING AGAINST THE FUR TRADE IN LONDON. 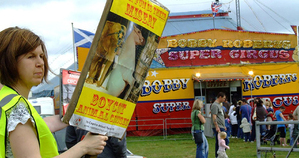 Uk: (Ministry) Defra Called to Come Clean on Plans for Wild Animals in Circuses. Charities may turn to the High Court for Answers. SAV Comment: Excellent news, and in keeping with the overwhelming wishes of the British public. For too long now, Defra have ignored the people and tried every excuse in the book. We wish CAPS and BFF every success in taking this forward and getting a ban in British circuses. Defra Called to Come Clean on Plans for Wild Animals in Circuses. Charities may turn to the High Court for Answers. Today, The Born Free Foundation and the Captive Animals’ Protection Society called upon the Government to make their position clear on wild animals in circuses as the two organisations stated their intention to look to the High Court to clarify the nature of the “legal obstacles” that Defra officials and Ministers claim are standing in the way of a ban on the use of wild animals in travelling circuses. In a letter sent to the Secretary of State on the 23rd December, the two organisations, who have been campaigning for a ban on the practise for a number of years, expressed their frustration at the Government’s failure to make its decision clear on the issue. The letter highlighted the result of the previous government’s 2010 public consultation process, which saw an incredible 94.5% of respondents calling for a ban, and the unanimous motion passed by MPs in the House of Commons in June of this year “directing” the Government to implement the same. In spite of this, the Government has apparently opted for a regime to license the use of wild animals in circuses; a process which leading animal welfare organisations say will be unworkable. Numerous statements from Defra officials have cited potential (but vague) legal obstacles to a ban, referring to an ongoing court case challenging an Austrian ban, as an example of what could happen here. However, last week the Austrian case was dismissed by the Constitutional Court in Vienna, apparently clearing the way for action in Westminster. The charities have appealed to the Government to make its position clear and clarify whether or not the perceived legal obstacles are still cause for concern. If unspecified legal difficulties remain, the two groups will consider going to the High Court to try to overcome the current stalemate using the Judicial Review process as part of “friendly proceedings” in which the Secretary of State would be the named respondent. Reproduced from Uk newspaper – Daily Mail. Crammed into tiny cages, unable to stand and deprived of food and water, these dogs endured terrible suffering on a truck bound for a chain of restaurants. 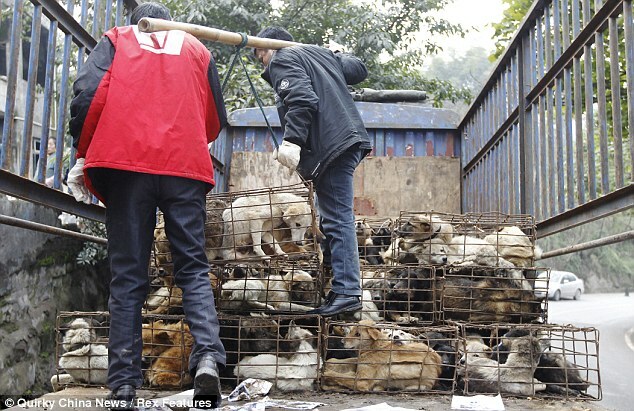 The harrowing pictures show the cruel conditions in which 1,500 of the animals were found when the truck was stopped at a toll gate by highway police and animal rescue volunteers in Chongqing, south-west China. 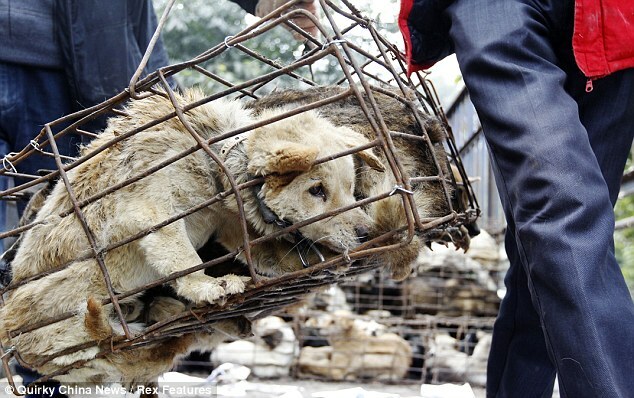 The truck was stacked high with cages, each containing several dogs in pitiful condition. The animals were moved to a nearby farm by volunteers from the Chongqing Animal Protection Association who gave them food, water and emergency treatment. 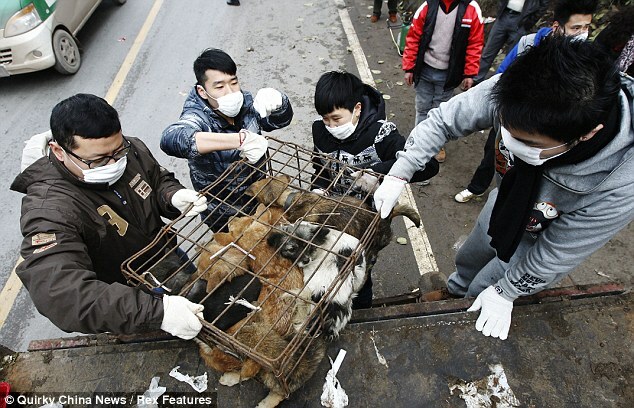 Sadly some of the dogs were already dead and rescue workers were unable to save other who were dying. 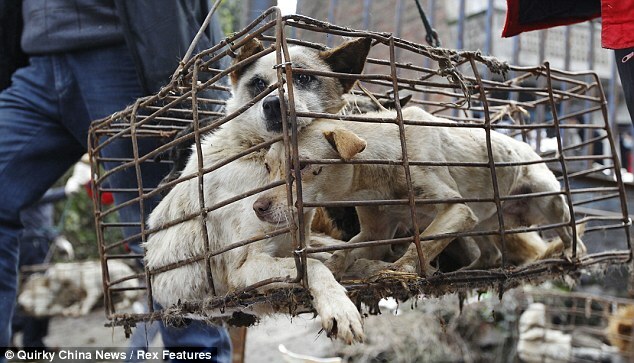 Dog continues to be a popular meal in the Far East, with many in China favouring the meat, particularly during the winter. The incident comes just months after police in Thailand rescued more than 1,000 dogs that were being transported to Vietnam. The dogs were being taken across the Mekong river in Laos as prices for stray dogs and pets in rural Thai villages can reach as much as $33 an animal. 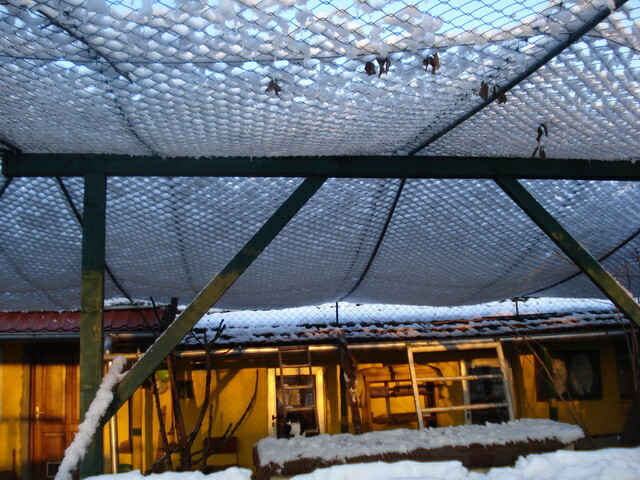 Serbia: Please Help the Kitties At ‘Felix Shelter’ With A Winter Donation – Thank You. PayPal link and full details on site if you wish to donate by this method. Felix kitties need your help! 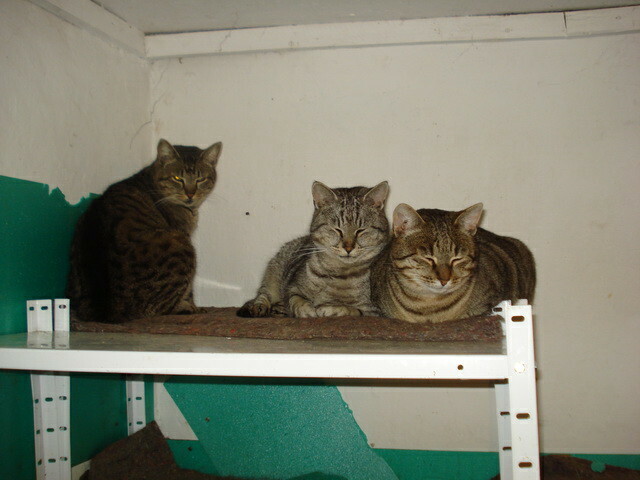 The weather is changeable this winter and it affects all of my kitties, especially the oldest and the youngest. Almost all new kitties that arrived this year and are not fully adapted to the life in the shelter are already under treatment, they have a fever and eye discharge and most of them are sneezing. 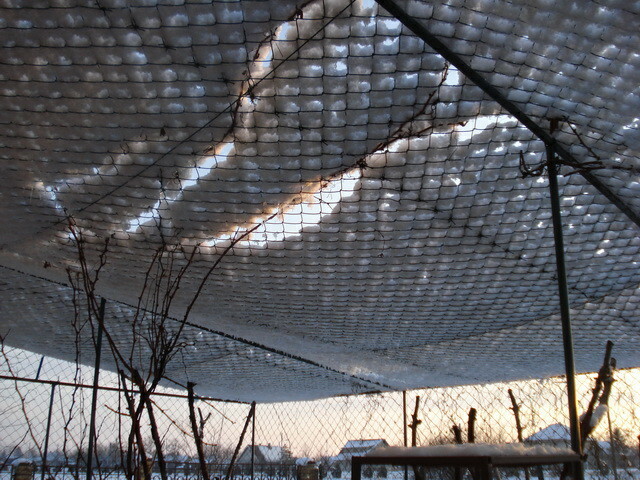 It’s rather warm now, at least for this time of the year, but we had bad snow a couple of weeks ago, as you may see on the photos. I fear for my chronically ill kitties, they’re always in crisis during the winter. Although a contagious respiratory infection is not a serious health threat for most cats, for the elderly or those who have a chronic health problem it can result in serious complications. My kitties are in continuous need of your support. 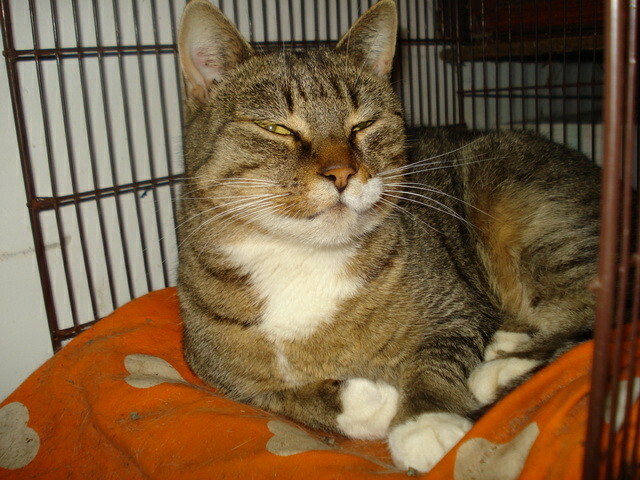 Vet bills are mounting, and lots of medicines have to be bought for treatment at home. 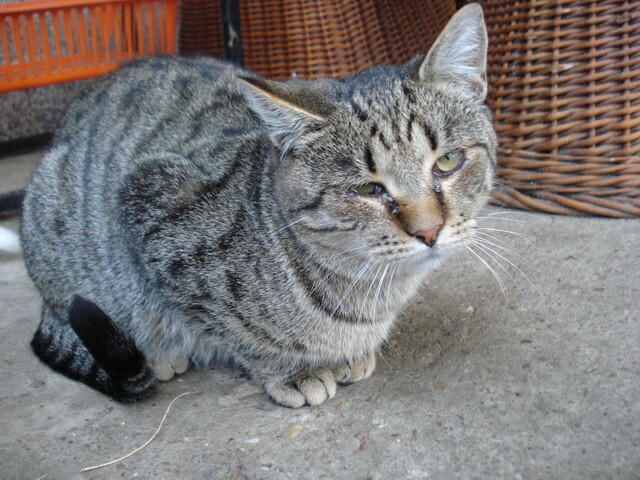 Right now, 6 of my cats are being given injections and the vet is coming every day. It’s extremely hard to defray costs of maintaining or restoring health of dozens of senior cats, 15 chronic patients and 5 delicate kittens under the age of six months. Again, I’m forced to ask for your help as we depend on your generosity. My kitties and I thank you in advance from the bottom of our hearts! Romania: BREAKING EARLY NEWS – Result For Animals – Constitutional Court Declares PL 912 for Management of Dogs by Euthanasia has Just Been Declared ‘UNCONSTITUTIONAL’. With 8 votes (and only one vote against) PL 912 for management of dogs by euthanasia has just been declared UNCONSTITUTIONAL because the Articles 7 and 8 – that speaks about under what conditions can be make euthanasia and also adoption are unconstitutional. Our materials containing the legal counters have been taken into consideration and the members of the Constitutional Court have proved they are not corrupt! Your protests sent to the Constitutional Court, your whole work in Romania have been and are of incontestable help, showing to them they are always monitorised and warned! Let’s hope the future will be for strays like today is! 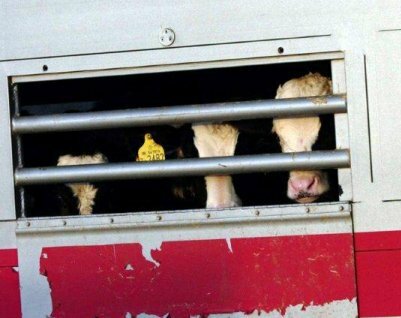 EU: Very Urgent Action (For EU Citizens) by 15/03.2012 – Please Ask Your National / Regional MEP’s To Support Written Declaration (WD) 0049 / 2011 For An 8 Hour Maximum Journey Time For EU Animals In Transport. IMPORTANT – This is ADDITIONAL To The 1 Million + Petition Recently Completed – Please Act By March. ** CAMPAIGNER ACTION REQUIRED ** to be completed by first week of March 2012. 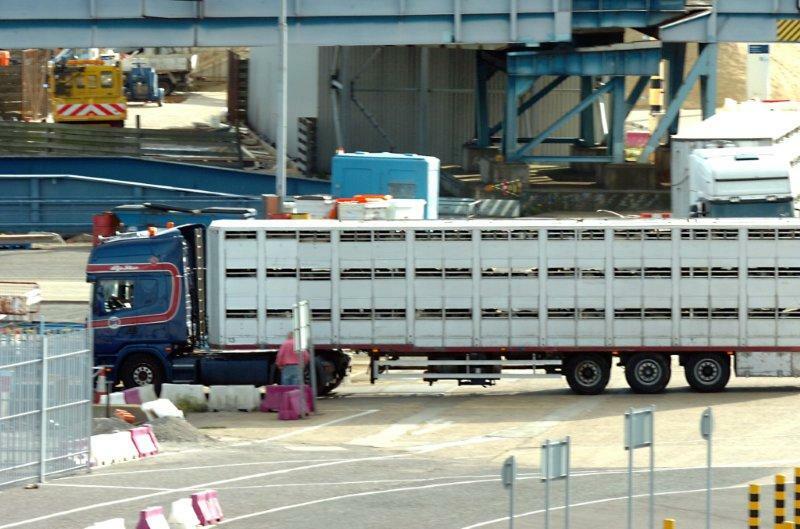 An 8 hour Written Declaration (WD), Ref 0049 / 2011 and calling for an 8 hour maximum journey limit for live animals in transport has now been created by the following MEP’s – Dan Jørgensen, Esther de Lange, Pavel Poc, Carl Schlyter and Andrea Zanoni. This Written Declaration is IN ADDITION TO the 1 million + petition which has been recently signed and completed by Euro citizens. ***** Do not confuse it with this EU citizen petition – this is a separate issue. This Written Declaration can only be signed by supportive Members of the European Parliament (MEP). It further supports the Euro citizen petition (! Million +) if the required numbers of (MEP) signatures are achieved. The required number is at least 369. And so we need to support this massive Euro citizen petition of over 1 million by collecting the signatures of 369 (minimum) MEP’s by the deadline date of 15th March 2012. We currently have 119 MEP signatures collected throughout Europe but still have another minimum of 250 to collect. To clarify, at least 369 MEP signatures of the WD need to be collected by early March if there is to be any success. The number of the specific Written Declaration is: 0049 / 2011. 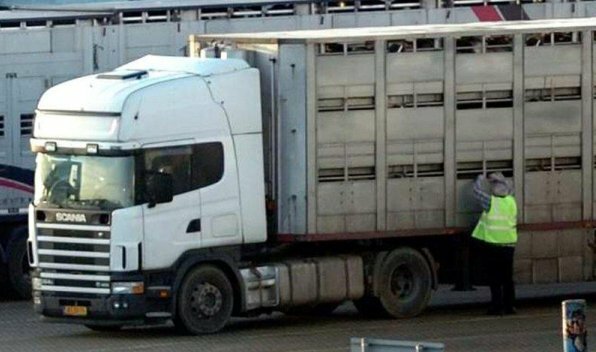 Its title is: Written Declaration on the establishment of a maximum 8-hour journey limit for animals transported in the European Union for the purpose of being slaughtered. You can only ask your national and regional MEP’s to support this WD. Please do NOT contact other MEP’s outside your area or in other EU nations asking for them to sign. A RED BAR against their name means they still HAVE NOT signed the WD. Hence these (red bar) MEPs are now the only ones which need to be further contacted. Once clicked on the above link and using youur national flag ident, find your regional MEP’s; or use the link given below to select your region. Then check against their name(s) – do they have a Green ‘Tick’ or a Red ‘Bar’ ? If they have a Red bar still against their individual name, then they HAVE NOT yet signed the WD. Written Declaration – 0049 / 2011. Using the above procedure, you can specifically find out which of each of your REGIONAL MEP’s have or have not yet signed and, if not signed, ask them to add their signature to this WD – 0049 / 2011. Take no further action against those who have already signed; apart from a line of thanks maybe ? Click on ‘Country’ and ‘All’ drop down to find the specific MEP’s which represent the different regions (your region) of the EU. Please ask ALL your National and regional MEP’s to support Written Declaration 0049 / 2011 for the 8 Hour limit NOW ! Remember – Deadline of 15th March 2012.